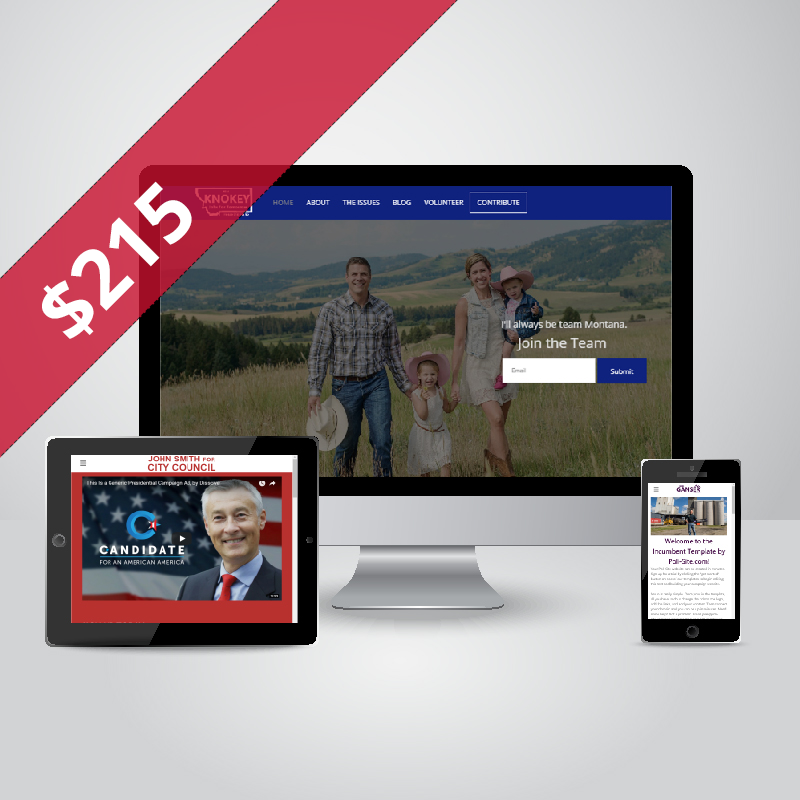 Poli-Site- Political Campaign Website add-ons made for you! Content creation is available to those that purchase the "Complete Website Package" and the "Lite Website Package" (It comes standard on the "Advanced Website Package). With this service we will create the initial content to launch your campaign website. With this service, we will setup a MailChimp account for you and integrate it into your website to seamlessly collect information of your campaign website visitors. We will also design a email template using your logo and colors. Individuals who create a website with Poli-Site can also order yard signs through Poli-Site at a discounted rate. We provide a variety of sizes and materials. If you are looking for quality yard signs at a discounted rate, contact us with your specifications and special pricing. 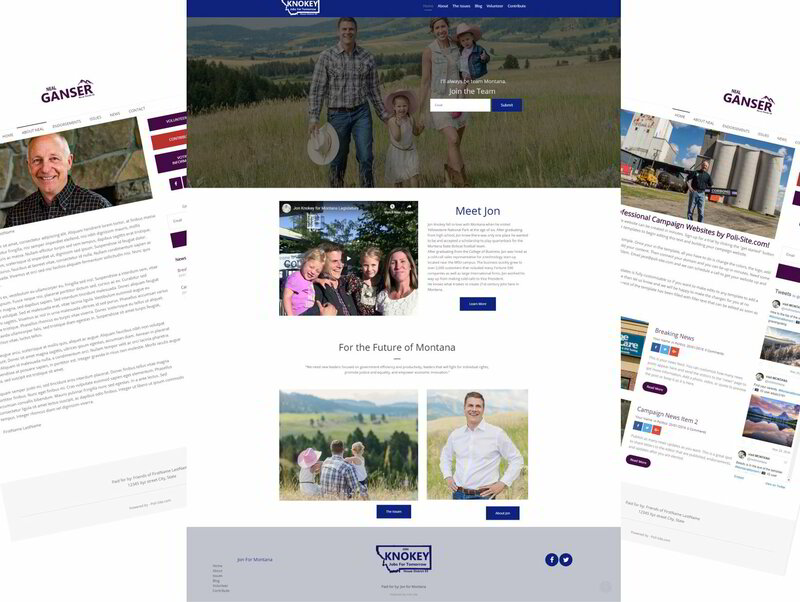 With a complete website package, we set up your website with your custom colors, your logo, custom website pages, pictures, and video. You provide the content and we organize it in a professional and personalized manner to suit your personal preferences. Once live, we provide you with the tools necessary to edit your website while continuing to provide full support. (You can extend hosting upon completion of the initial 12 months of hosting). Domain name included. 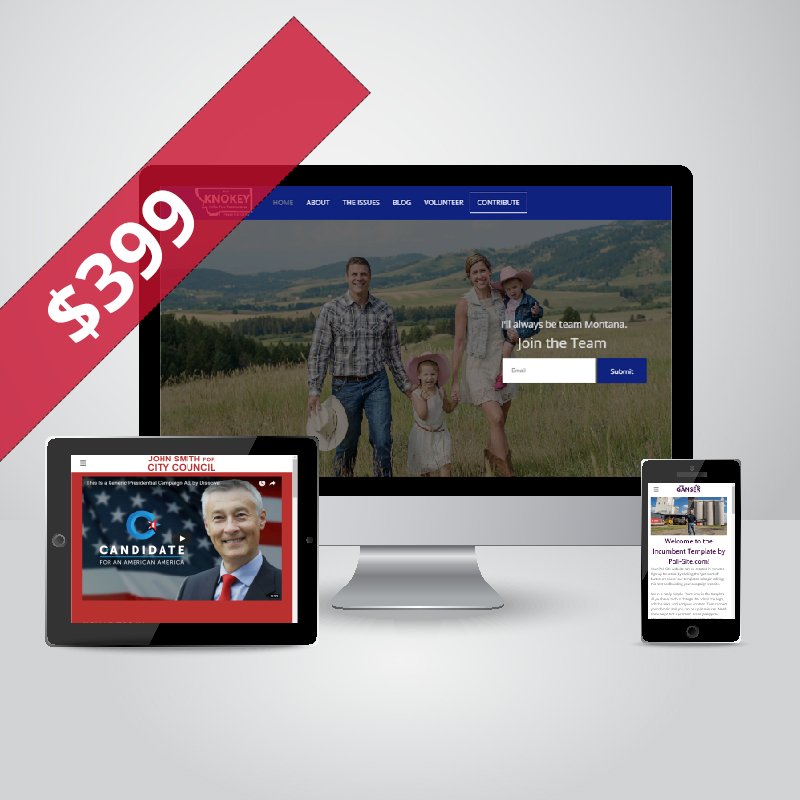 With an advanced website package, you get all features included in a complete website package plus initial content for the website. This initial content will be created by Poli-Site after an initial survey is completed by the user. With a lite website package, we set up your website with your custom colors, your logo, custom website pages, pictures, and video. You provide the content and we organize it in a professional and personalized manner to suit your personal preferences. Once live, we provide you with the tools necessary to edit your website while continuing to provide full support. (You can extend hosting upon completion of the initial 6 months of hosting). Domain name included. Receive campaign tips and best practices. Enter your email below.